You’ve just made one of the most exciting decisions of your life. You’re going to take some time out - a summer holiday, a gap year, a career break - and see the world. The possibilities for adventure are endless, and the world really is your oyster. Now for the hard part - you need to plan that trip. Picture the scene: you’ve just been dumped at a dingy bus station on the edge of a foreign city, it’s 3am, you’re travelling alone, no one speaks English, and now you’re fumbling with a map trying to find your hostel. Ok, so maybe we’re over-egging it, but there’s a lot to be said for letting someone else arrange your trip. With a tour you can relax in the knowledge that an expert has planned your itinerary for you, and all you need to do is turn up. 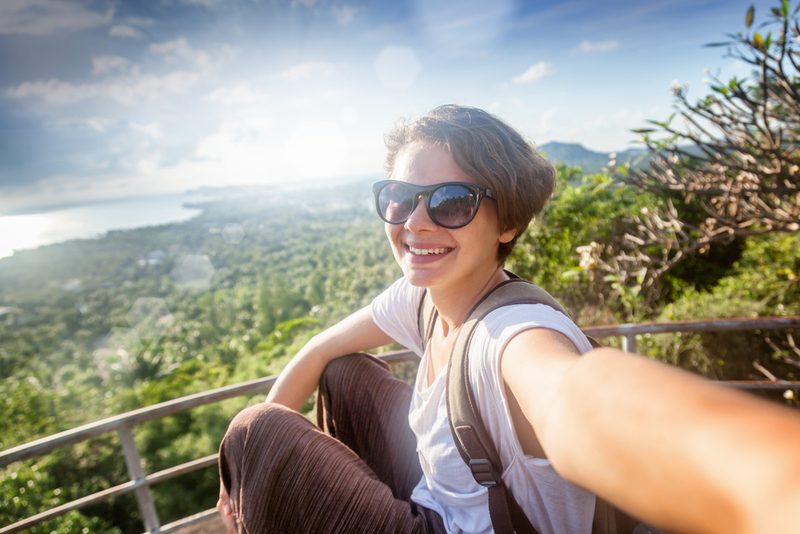 We’re not suggesting you spend your whole gap year on organised tours - it’s good to mix things up - but a tour can be a great introduction to a country or region, allowing you to find your feet and meet some travel companions for the journey ahead. It’s easy to tag a tour onto the beginning or end of your gap year, and it’s a great way of travelling point to point without flying if you’re on a round-the-world ticket. Trek America's most popular tour is their 21-day Southern Sun coast-to-coast adventure from New York to Los Angeles, taking in the good time cities of the Deep South, the spectacular scenery of the Grand Canyon and the bright lights of Las Vegas. Alternatively you could take the northern route, stopping off at Niagara Falls, Yellowstone National Park, San Francisco and the sun-soaked California coast. Trek America’s tours are designed exclusively for the 18 to 30-something crowd, travelling in small groups and camping out under the stars along the way. Transformative travel experiences can cement friendships for life, whether you’re white water rafting on the Zambezi or watching the sun come up over Machu Picchu. An escorted tour is a great way of meeting people if you’re travelling on your own, and your tour group will usually include plenty of fellow solo travellers. You’ll bond over shared experiences, keep each other entertained on those long bus journeys, and be guaranteed a group of drinking buddies if you want to sample the local nightlife. Contiki specialises in tours for 18 to 35-year-olds, with a #NOREGRETS ethos that is all about sharing life-changing experiences with like-minded travellers. They offer eight different styles of travel, ranging from whistlestop tours packing in as much as possible, to more relaxed itineraries with time to explore at your own pace. Popular trips include the 27-day Big Indochina Adventure, which takes you to four of Southeast Asia’s most exciting countries: highlights include the buzzing nightlife of Bangkok, kayaking and caving in Laos, the spellbinding temples of Angkor Wat and the chance to fish with locals on the Mekong Delta. Well-worn backpacker routes such as South America’s ‘Gringo Trail’ are popular for a reason; this is where you’ll find the main sights, the liveliest hostels and the majority of your fellow gap year travellers. But not everyone wants to go with the crowd, and with so much world to explore, why restrict yourself? Perhaps you’ve always dreamed of camping with nomads on the Mongolian steppe, trekking Nepal’s Annapurna Range, or witnessing the Great Migration across the Serengeti? This is where escorted touring really comes into its own, allowing you to head off the beaten track with expert guides who’ll ensure that you avoid the tourist traps and benefit from their insider knowledge. Small group specialists Geckos Adventures offer a fantastic array of immersive tours for 18 to 29-year-olds, designed to really get under the skin of the destinations you’re visiting. Their 17-day Across Central America tour packs in smouldering volcanoes, gorgeous Spanish colonial cities, Mayan ruins, idyllic tropical islands and lush jungle, with your transport and accommodation arranged for you across four different countries. Just because you’re on a tour, doesn’t mean you’re always following a strict schedule. Most tour operators build plenty of free time into their itineraries, and a choice of optional activities that you can tailor to your own preferences. If you’ve got a free afternoon in Chiang Mai, perhaps you’d like to sharpen up your curry game with a Thai cookery class, or make some four-legged friends at an elephant sanctuary? Alternatively, you might prefer to just chill in a hammock with a cold bottle of Chang and a well-thumbed Lonely Planet guide. Travelling in a group doesn’t have to mean compromising on choice. And don’t forget that you can always combine escorted touring with independent travel. We love Busabout’s hop-on hop-off passes, which allow you to travel around Europe at your own pace using a network of door-to-door coach routes. You can change your plans as you go, and choose between a fixed number of stops or an Unlimited Pass which covers the whole summer. Busabout’s network links 47 different destinations, from major cities like Lisbon and Prague to lesser-known gems like foodie favourite Bologna, the buzzing Croatian coast and the spectacular scenery of Poland’s Tatra mountains. Travel is by comfortable modern coach equipped with onboard WiFi, and unlike Interrailing you’ll be dropped off right outside your accommodation. Budgeting is every backpacker’s nemesis, and it can be especially tricky if this is your first big trip away from home. One of the real plus points of an escorted tour is that you’ve already paid for the majority of your trip up front, so you don’t have to worry about day-to-day costs for things like accommodation and transport. Most tours will also include some of your meals, plus extras like city tours, temple visits and guided treks. Contiki’s Outback Adventure trip to Australia even includes an Aboriginal bushtucker tour, with the chance to munch on witchetty grubs and kangaroo tails if you so desire! Although some tours may seem expensive at first glance, it’s worth considering everything that’s included in that price, and the security you get from having everything handled by a single company. There are trips to suit all budgets, whether you want to rough it in a hostel, camp out in the countryside or stay in more comfortable hotels and guesthouses.